As of April 2018, media coverage of the project had reached 11 million people, through national radio, regional television, national newspapers (online and in-print) and women’s sector media. This included reporting by BBC Radio 4, ITV.com, Cosmopolitan UK, The Daily Telegraph and Mail Online UK. 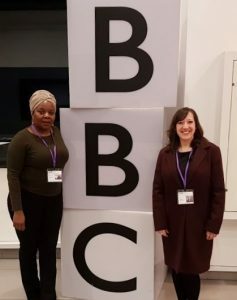 Women’s stories and expertise were central to the coverage; the women living with HIV who appeared in the report were involved in a range of media opportunities. Sophia Forum trustee Jacqui Stevenson also acted as a spokesperson, interviewee and article author, alongside other contributors to the report. The project engaged members of parliament too, with Sharon Hodgson MP (Shadow Minister for Public Health), Lord Paddick and Thangam Debbonaire MP tweeting about it. Terrence Higgins Trust Patron Lord Black also asked a series of parliamentary questions about women and HIV in response to the Invisible No Longer report.